This week, Brazilian President Dilma Rousseff was removed from power after months of street protests calling for her impeachment. 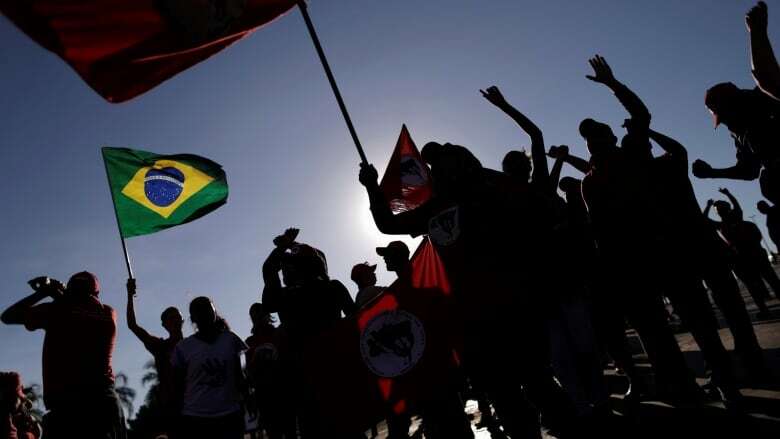 But Glenn Greenwald, founder of The Intercept and a long-time resident of Brazil, says the worst is yet to come and that the move to oust Rousseff is a clear and present threat to the country's democracy. Dilma Rousseff's political enemies got their wish this week, as Brazil's Senate voted to remove her from office to face an impeachment trial over charges of financial mismanagement. But Glenn Greenwald, founder of the Intercept and long-time resident of Brazil, says ousting Rousseff is likely to make things worse, not better. "The only real effect it's probably going to have on corruption is that it will protect corruption and make it more difficult to root it out of the political system," he tells Brent Bambury in an interview for CBC Day 6. Rousseff has been suspended from office while the trial goes ahead, a process that could take six months. She is accused of cooking the books to hide the size of Brazil's budget deficit while she was campaigning for re-election. It's part of a broader investigation including accusations that dozens of lawmakers and state oil execs got huge kickbacks for government contracts. Greenwald says Rousseff was vulnerable to the challenge from her opponents because she is deeply unpopular thanks to an economic downturn. He also says "she's not a very skilled politician." But Greenwald says there is something that separates her from many other Brazilian politicians. "Dilma herself, for all her faults, has not been accused in any way of any sort of corruption for personal enrichment," Greenwald says. "She doesn't have money stashed away in foreign bank accounts the way many of her adversaries do. The people who led the impeachment fight who are now empowered in Brasilia are the actual thieves and criminals. That's what makes this process so bizarre." The corruption investigation has implicated politicians of all stripes. "There were 519 members of the lower house who voted on her impeachment and 330 of them are implicated in corruption," says Greenwald. "For an American or a Canadian, it's almost impossible to understand just how pervasive corruption is [in Brazil]." "I've lived in Brazil for the last 11 years and I've watched this country thrive and prosper as a young democracy," says Greenwald. "But like all young democracies, it's also a fragile democracy and I think the real worry is what level of instability will be unleashed? No one really knows where this is heading but it seems like there aren't very many good outcomes." Sam Rudy can get you tickets to Hamilton ... if you ask nicely.